Love it! Your orchid seems to like you back! The blooms are smiling. Yes they are. It’s such a happy plant. I keep telling my wife I’ll bloom someday, but for now, just weird. When I was in Palm Beach County this past January, I saw orchids on trees outside for the first time. In winter! 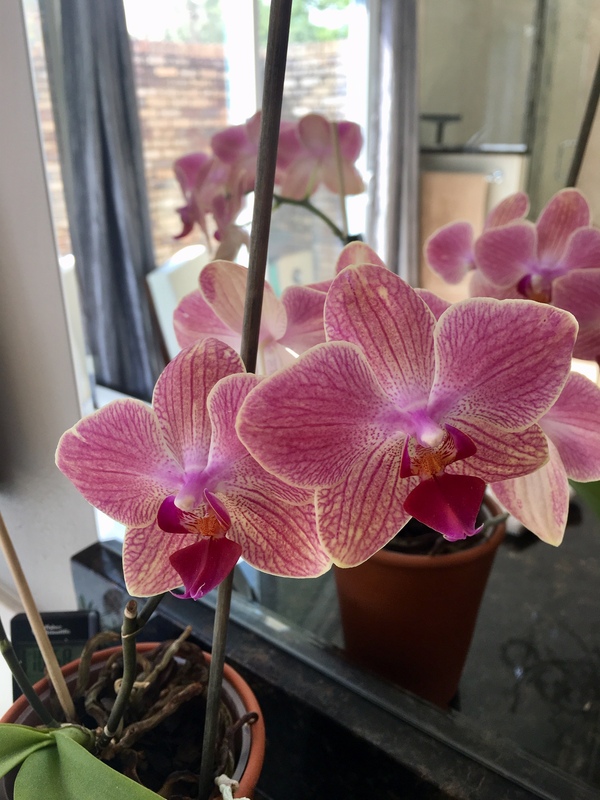 I’ve brown them indoors for some years and you have found the secret of orchids and all plants – If you find their happy place they will reward you so greatly. Come April 15, I, hopefully, will be posting a picture of my reblooming orchid on my blog. They are beautiful plants to own. Thanks for the comment. Yes, we all need a happy place to thrive. Can’t wait to see your orchid picture. How beautiful! I don’t recall ever having one bloom more than once. A green thumb, I have not! 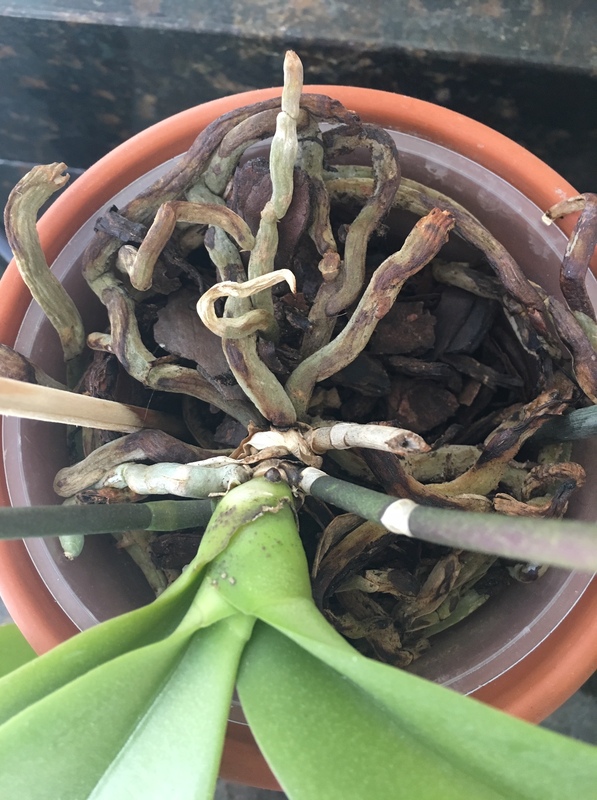 I thought it would never happen until I complimented my friend’s orchid and she gave me some tips. I do have a bit of a green thumb though, but I had help developing it.